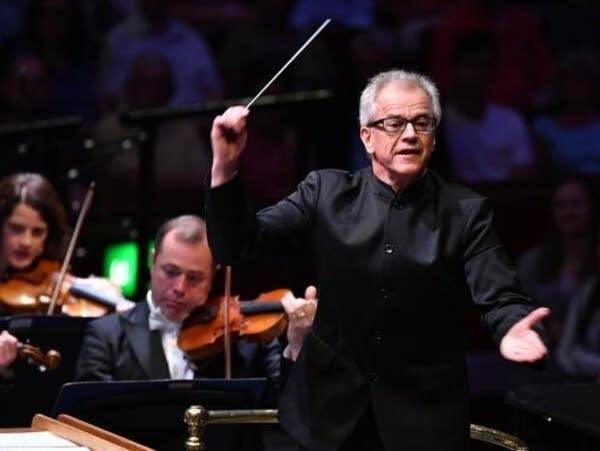 Updated: 7:40 p.m. | Posted: 6:30 p.m.
Minnesota Orchestra music director Osmo Vanska will step down at the conclusion of his current contract. Vanska made the announcement at the Orchestra board's annual meeting Wednesday. Vanska stresses he won't actually leave for almost four years, but he says he wanted to give the orchestra time to find a replacement. His contract ends in August 2022. "We are not going to change anything right now," Vanska said. "We have many plans and we are trying to find new plans even." Under Vanska's baton the Minnesota Orchestra has drawn worldwide attention for its performances. He is also credited with rebuilding the ensemble after a bruising contract dispute and musician lockout that threatened the organization's future. He said the orchestra is playing at the highest level it has attained during his tenure, and that is the best time to go. The orchestra has made waves nationally and internationally as well. In addition to multiple European tours, the group won a Grammy award in 2014 for best orchestral performance in a recording of Sibelius Symphonies 1 and 4. In 2015, the Minnesota Orchestra performed in Cuba after the island nation and the U.S. took steps to normalize relations. Then last August, Vanska led a two-week tour of South Africa as part of the celebration of the centennial of Nelson Mandela's birth. Michelle Miller Burns, president and CEO of the Minnesota Orchestra, said the group and its director have a unique connection with the audience. "There doesn't seem to exist that same kind of divide between the stage and the audience that there is in some other places. That the audience and the orchestra and Osmo all work together to create this really wonderful holistic musical and cultural experience," she said. When he steps down, Vanska will join orchestra founder Emil Oberhoffer and former music director Stanislaw Skrowaczewski as the longest serving conductors with 19 seasons each.